Bank manager received the message through Central Intimation System. 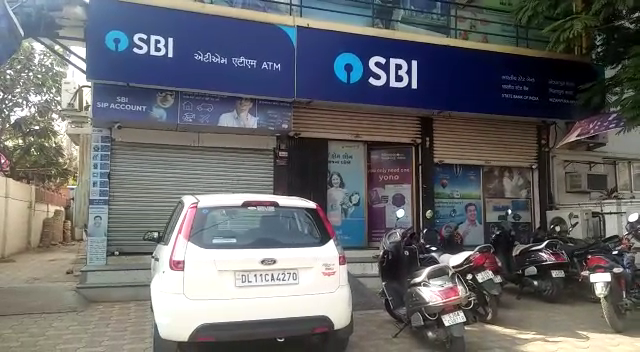 Bank Central Intimation System alerted the bank manager in Vadodara about the possible ATM break in SBI Bank at Nizampura. He immediately alerted the Police and found it to be a attempt by the accused. As per the details branch manager Bipin Kumar Singh of SBI Bank near Goverdhannathji Haveli at Nizampura road received a message on his mobile about someone cutting the wires of the CCTV inside the ATM. He received the message from Chennai control room about someone cutting the wires of 16045 number ATM and he immediately informed the police about the possible break in. He reached the spot along with bank officer Avdesh Kumar followed by the Fathegunj police reached there after the message. However they found no one there and after investigating found the wires being cut by someone. The police access the cctv from the spot and began investigation in the matter. As per the police the unknown accused face was covered and they further investigating with the help of their sources.